አባላት “አድርባይነት የመመልመያ መስፈርት ነው” አሉ!! Home Secretary Theresa May has failed in a bid to deport a 33-year-old Ethiopian who had “thrown in his lot” with Islamist extremists “committed to terrorism”. The Court of Appeal said there was a risk that the man – who was not named in a ruling – might be subjected to “ill treatment” if returned to Ethiopia. Three appeal judges overturned a ruling by the Special Immigration Appeals Commission (Siac) – which had upheld Mrs May’s decision to deport the man, who has a wife and children in the UK. They said Siac had “erred” in ruling that assurances given by the Ethiopian government were “sufficient” to prevent the man being “subjected to ill treatment” contrary to human rights legislation. Lord Justice Jackson – the most senior of the three appeal judges – said he had reached his decision with “little enthusiasm”. He said he had “no doubt” that Mrs May had been entitled to conclude that the man’s deportation was “conducive to the public interest on national security grounds”. But he said “everyone within our shores” is entitled to protection under human rights legislation – “even those” involved or connected with terrorism. The man – referred to as J1 in a written judgment handed down today after an appeal court hearing in London in February – had appealed against Siac’s decision to uphold Mrs May’s decision to deport him to Ethiopia. He argued that Siac erred in holding that assurances given by the Ethiopian government were sufficient to prevent him from being subjected to ill treatment contrary to article 3 of the European Convention on Human Rights (ECHR), which prohibits torture and inhuman or degrading treatment or punishment. The three appeal judges – Lord Justice Jackson, Lord Justice Elias and Lord Justice Treacy – agreed. “The appellant succeeds in this appeal and the decision of Siac dismissing the appeal is reversed,” said Lord Justice Jackson. “I should add that this is a decision which I reach with little enthusiasm. The appellant has been closely associating with Islamist extremists who are involved in terrorism. Such people show scant regard for the rights to life of others. “I have no doubt that the Secretary of State was entitled to conclude that the appellant’s deportation was conducive to the public interest on national security grounds. The fact remains, however, that the UK is party to the ECHR and has incorporated its provisions into our domestic law. Lord Justice Jackson said the man arrived in the UK with members of his family in 1990. “Most of the family returned to Ethiopia in 1992, but the appellant and his sister remained in this country. Eventually, after various refusals of asylum and appeals, the appellant obtained indefinite leave to remain in the UK. He now has a wife and children in this country,” said the judge. Lord Justice Jackson said there were “hostile organisations” in Africa. “The branch of Al Qaida which operates in the Horn of Africa is known as Al Qaida in East Africa (AQEA),” said the judge. Lord Justice Jackson gave a list of the man’s associates and outlined a series of terrorism connections, including links to a failed London bomb plot in 2005 and training camps in Cumbria and Scotland. He said the man was “an important and significant member of a group of Islamist extremists in the UK”. “The appellant has been associating with the following men: Dawit Semeneh, Joseph Kebide, Nathan Oqubay, Zulgai Popal, Elias Girma Eyassu, Bilal Berjawi, Mohammed Sakr, and Walla Eldin Rahman,” Lord Justice Jackson. “In May 2004 Semeneh and Kebide attended a training camp in Cumbria which was run by a man called Hamid. Hamid was subsequently convicted of soliciting to murder and providing terrorism training. “The training camp in May 2004 appears to have been a serious affair. Four men who were involved in the failed London bombings of 21st July 2005 attended Hamid’s training camp in May 2004. “In December 2004 the appellant and three others were found by the police at Lanark. They were all wearing plastic gloves. They said that they were on their way to Fort William. At about this time Hamid was organising a training or bonding camp near Loch Ness. “In May 2005 Semeneh, Oqubay, Popal, Eyassu and Kebide travelled to Somalia for purposes relating to terrorism. The appellant admits that he knew about this trip but claims he thought it was for religious purposes. Lord Justice Jackson added: “In October 2009 Berjawi, Sakr and Rahman travelled from the UK to Somalia for the purpose of terrorist training and terrorist activity in Somalia. “The appellant knew in advance about the travel plans of those three men and the purpose of their expedition. “During 2009 and 2010 the appellant was an important and significant member of a group of Islamist extremists in the UK who provided support to those three men in Somalia. “Media reporting identifies Berjawi as a close associate of Harum Fazul. Until his death in June 2011 Fazul was a, if not the, leader of AQEA. Fazul was also a close associate of the leaders of Al Shabaab. On 11th July 2010 there were twin bombings in Kampala, for which Al Shabaab claimed responsibility. It is now generally thought that that claim is well founded. “Perhaps unsurprisingly the Secretary of State came to the conclusion that the deportation of the appellant from the UK would be conducive to the public good for reasons of national security. Delegates of the ninth convention of the ruling EPRDF party have shown their dissatisfaction over a eulogy written for their late leader, Meles Zenawi, while some were critical of the quality of its writing and completeness of the content. 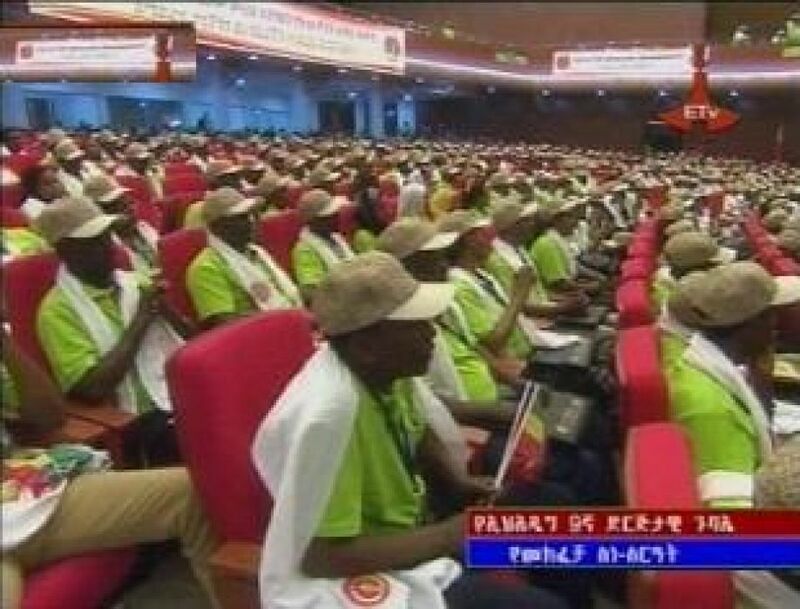 Translated from Tigrigna, the eulogy was first presented to the congress of the TPLF, held in Meqelle two weeks ago, before it was presented to over 1,000 delegates at the conclusion of the ruling coalition’s convention on Tuesday, held in Bahir Dar. The first to voice such disappointment over the organisation of the eulogy and its content structure was Meles’s widow. 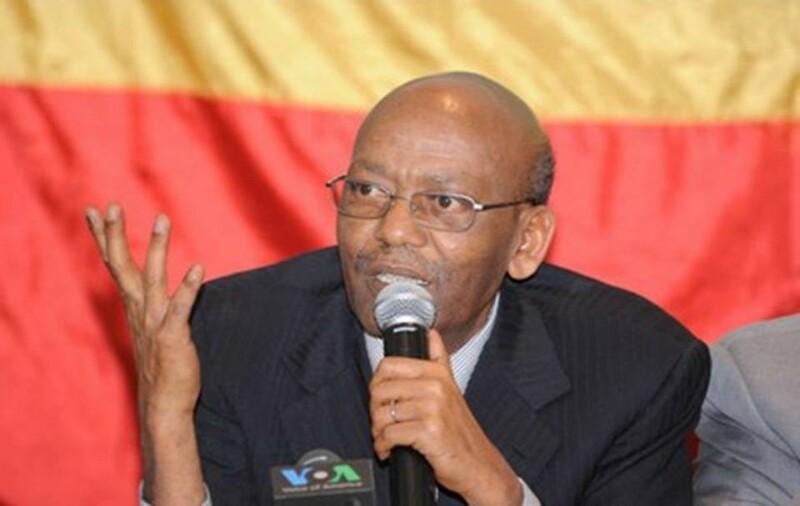 Elected to the political bureau of the TPLF for the second time and to the all too powerful Executive Committee of the EPRDF, Azeb Mesfin was displeased to see the eulogy incomplete. Some of the points she argued as missed are Meles’s place, role and the contributions he made as an Editor-in-Chief of the party’s ideological organ, Addis Ra’ey. Azeb feels that the contributions Meles had made in originating the idea of forming a training facility for the rank and file, now directed by Addisu Legesse, and the manual he develop ought to be forcefully underlined. Azeb defended her late husband’s legacy in relations to how he had handled the conflict and the subsequent war with Eritrea. Despite condemnations from his political opponents due to his heritage, Azeb told delegates that Meles had never negotiated on the national interests of Ethiopia. “Not even for a second,” Azeb told delegates rather emphatically. Azeb described Meles’s conduct during the war with Eritrea in the late 1990s as “extraordinary” in not showing what he had felt of the accusations, but focused on defending his beliefs and political positions regardless. She recalled her late husband as perhaps the only leader who had earned a little over 4,000 Br a month in net salary, but fought poverty with courage and resolve, while remaining selfless. These parts, Azeb argued, were not given their proper place in the eulogy, which was read by Hailemariam Desalegn, re-elected to chair the EPRDF twice since the death of Meles in August 2012. Hailemariam’s re-election was fait accompli, although he was made to pass the test of contest to the office. His deputy, Demeke Mekonnen of ANDM, and Alemayehu Atomsa of OPDO, were nominated by their respective parties for the chairmanship, while leaders of the TPLF have declined to nominate their leaders, Fortune learnt. Hailemariam has won the chairmanship with a landslide, after bagging 176 votes of the 180 Council members of the ruling party, sources in the Council disclosed to Fortune. Although the other two contenders have received two votes each against Hailemariam, Demeke too claimed the deputy chairmanship position with significant margin, claiming 146 votes against 25 given to his contender, Fortune learnt. Emerging as uncontested non-combatant leader of the Revolutionary Democrats since the party’s formation in the late 1980s, Hailemariam was seen endorsing the conciliatory proposition made by Addisu, who remains one of the 13 political bureau members of the ANDM but left out from the EPRDF’s Executive Committee. Addisu has argued that the eulogy is filled with repetition, is not well organised, and suffers from losses in translation, while its structure is weak. Addisu urged delegates to let the EPRDF’s Executive Committee rewrite the eulogy before it gets adopted as the party’s official document, a proposition Hailemariam had secured its adoption by the Congress unanimously. ፍኖተ ነጻነት መጋቢት 15 ቀን 2005 ዓ.ም. በጣሊያን የሩዶልፍ ግራዚያኒንን የሐውልት ለመቃወም የሐሳቡ ጠንሳሽ ማን ነው? ተቃወቅሞውን ለማቅረብ ያነሳሳችሁ ዋነኛ ምክንያት ምን ነበር? በወቅቱ የደረስው ጉዳት ምን ያህል እንደሆነ ማወቅ ይቻላል? ይህንን ተቃውሞ በዋነኝነት ማቅረብ የነበረበት መንግስት ነበር የሚሉ ወገኖች አሉ፤ እርስዎስ ምን ይላሉ? የኢትዮጵያ መንግስት የሀውልት ግንባታውን አለመቃወሙ ምን ያስረዳናል? እናንተ ሰላማዊ ሰልፉን ከማድረጋችሁ አንድ ቀን በፊት መጋቢት 7 ቀን 2005 ዓ.ም ስምንት ሰዎች መታሰራቸው ይታወቃል፡፡ ይህ ክስተት በሰልፉ ወቅት እስር እንደሚኖር አልጠቆማችሁም? የታሰራችሁት ምን ወንጀል ሰርታችኋል ተብላችሁ ነው? ከእስር ሲለቋችሁ ምን ብለው ነው? በታሰራችሁበት ወቅትስ የገጠማችሁ ችግር አለ? ከዚህ በኋለስ ይህን ተቃውሞ ለመቀጠልስ እቅዱ አላችሁ? ሳዑዲ ስታር የማንና ለማን ነው? ለምንድነው የትግራይ ህዝብ ‘ብኡ የሕልፎ’ (የባሰ ኣታምጣ) በሚል የህወሓትን ጭቆና ‘ኣሜን’ ብሎ ለመቀበል የሚገደደው? በኣሁኑ ሰዓት ታድያ ሰው (ከትግራይ) ሲቃወም: “ከነዚህ የጠላት ቡድኖች (በብሄር ደረጃ ኣማራ ወይ ሸዋ) ወይ የደርግ ርዝራዦች (Remnants of the Derg Regime) ወግኖ ደርግን ወደ ስልጣን ለማስመለስ ህወሓትን ይቃወማል” በሚል ሰበብ ስሙ ይጠፋል። (እኔ ህወሓት ስለ ተቃወምኩ የሚሰጠኝን ስም መመልከት ይቻላል)። ይሄ ነገር ታድያ እየታፈንክ ዝም ኣያሰኝም??? (4) ደርግ የትግራይን ህዝብ ጠላት ተደርጎ ነው የሚወሰደው (በፈፀመው ግፍ)። የትግራይ ህዝብ ያን የደርግ ኣገዛዝ ኣይፈልግም። ‘ደርግ ይመለሳል’ ከተባለ ታድያ (ማመዛዘን ቢያስፈልግም) ህዝቡ ከደርግ ህወሓትን መምረጡ እንዴት ይቀራል? ጥያቄ፦ ብትፈርሙ ምን ይጎዳችሁዋል …? ጥያቄ፦ ጉዳት አለው ህዝቡ ይጎዳል? ህግ ሆኗል አይደለም? ነጋሶ፦ የስነ ምግባር ኮዱ ብቻውን በቂ አይደለም፤…. የኢህአዴግ አዲሱ ሊቀመንበር በመጀመሪያው ንግግራቸው ያሉትን አልሰማህም? ጥያቄ፦ … ምን ጉዳት ይደርስባችኋዋል? ነጋሶ፦ እነሱ ቢወያዩና ችግራቸውን ቢያስወግዱ ምን ችግር አለው? ነጋሶ፦ ያ! ያ! አብሮ መስራት በእኩልነት ነው እኮ!! ኢህአዴግ አንድ የፖለቲካ ሃይል ነው ወይስ አይደለም? ለምን እንበረከካለን? ንግረኝ? አንድ ላስቲክ ውሃ 10 ብር! !